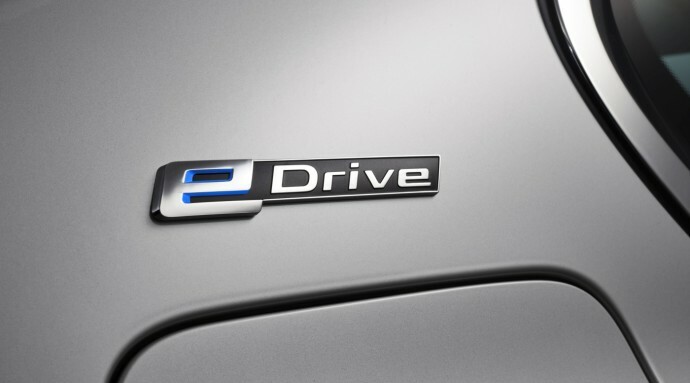 BMW’s next phase in automotive development is towards iPerformance vehicles. The iPerformance models take BMW’s core lineup and incorporate plug-in hybrid technology that was first used in the i3 and i8. The plug-in hybrid technology includes “electric motors, battery cells and electronic control systems”. Among the first vehicles to use this will be the new 7-series-based BMW 740e iPerformance that was recently unveiled and will debut at the Geneva Motor Show next month. The iPerformance cars will have distinct ‘i’ styling to make it stand out. It’ll feature the “i” logo on the front fender and BMW i-style blue accents on kidney grilles (as seen on the i3 and i8), wheel hubs and eDrive logo on the C-pillar.